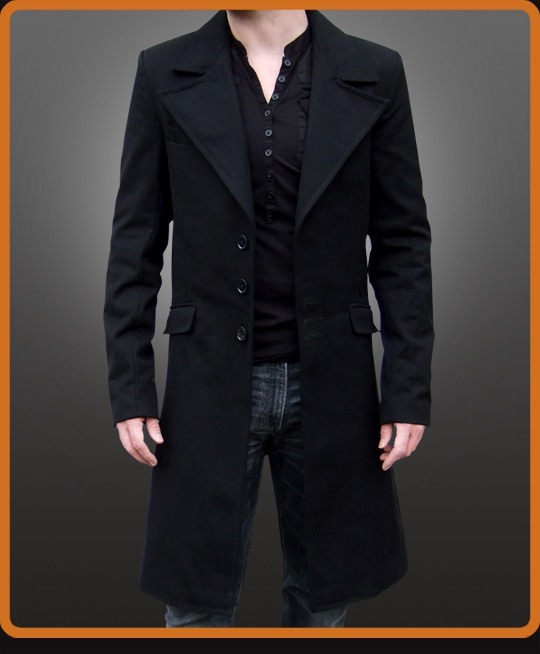 Long elegant style coat made of heavy black cotton. Stylish oversized collar. Tailored fit.